the band released their first E.P., Muse, in 1998. At that point, Muse were, by their standards, fairly honed-in and controlled. 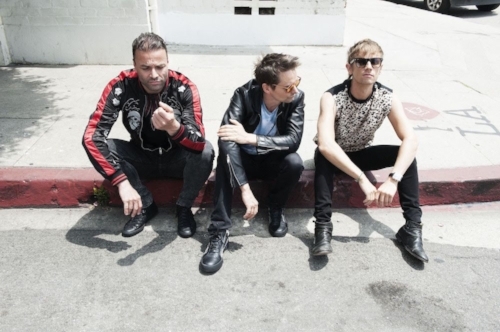 Matt Bellamy, Chris Wolstenholme and Dominic Howard started life as three guys from Devon who cut their first E.P. at Sawmills Studios (situated in a converted water-mill) and released in on the in-house Sawmills label. That E.P. garnered a bit of attention and, by Muscle Museum EP, in 1999, D.J.s like Steve Lamacq were turning their heads and things were starting to get interesting. It was not long before the trio was signed after playing at Woodstock ’99. There is not much inspiration behind the band’s name – they thought ‘Muse’ looked short and good on a poster – but their first album, produced by John Leckie and Paul Reeve (alongside the band) did take them to the next level. Even from the start, Muse were getting people talking and garnering interest in the U.S. Lyrics on Showbiz (1999) dealt with fractious relationships and struggles establishing themselves in their hometown. Songs like Sunburn and Muscle Museum are among the best of Muse’s catalogue but their debut received a smattering of positive reviews. The guys were gaining comparisons to Radiohead and Jeff Buckley – names that would follow them for a while – and Matt Bellamy was establishing himself as a talented, if quirky, frontman. The mad-around-the-edges lyrics and musical histrionics were taking shape and critics noted how Muse were a lot more ragged and wild than many of their peers. 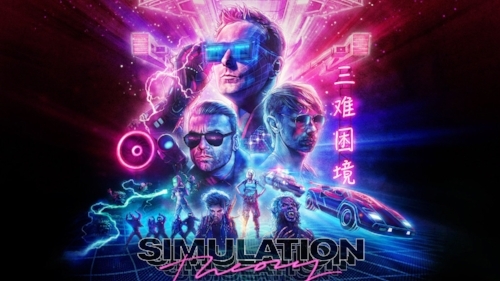 Muse’s eighth studio album, Simulation Theory, is out on 9th November and boasts a neon, futuristic-looking cover. If singles such as Something Human and The Dark Side suggest a band that are toning things down a bit and taking a new direction; the mad and crazy Muse we all know and love is still present. Twenty years after their first E.P. and the guys are unwilling to grow older gracefully and produce something a bit tame. Drones, released in 2015, is a concept album that drew some mixed reviews – I will come back to that later. Simulation Theory is a Synth-Rock album that explores simulation in society and the simulation hypothesis. The album explores fantasy becoming real and the idea that we all just lumps of code in the shape of lumpy sims. The videos we have seen so far are Science Fiction-inspired and there is an aesthetic vibe of the 1980s. Short of mullets and naff shoulder-pads, many of the visual effects and scenes evoke the colour and sensations of that decade. Every one of the eleven album tracks will have a video produced to form a single narrative that focuses on digital containment and escape. Muse were keen to break away from concept albums after Drones and it was suggested they’d release a few single for those not keen on listening to entire albums. It seems like they have changed course and are embarking on something conceptual, narrative-based and flowing – they want people to listen to all the tracks and get a sense of what the album is all about. "The guitar has become a textural instrument rather than a lead instrument," he told the BBC. "And I think that's probably a good thing. "What's exciting about this period of music is you can mix classical with hip-hop and rock in the same song. "As a rock band you're slightly one foot in the past, playing instruments like guitar, bass and drums". It all sounds very exciting and it seems, twenty years down the line, the band have lost none of their edge and excitement. Even though they are not the whipper-snappers of their early days; they are upping their game and evolving all the time. Their artwork is bright and their sounds becoming bolder and, as I will argue throughout, Muse are far more interesting than your ordinary band! One of the reasons why I wanted to focus on Muse is because they definitely do not walk the same lines as their peers. It is true the Devon-formed band are unafraid to do things differently and document something that nobody else is. Look around and how many groups are tackling things like digital entrapment and simulation theory?! Muse are experimenting with music videos and themes; they are taking risks using new instruments; embarking on another concept but an entirely different look, sound and sensation than Drones. After their debut album in 1999, the band released three fascinating albums. Reviews for 2001’s Origin of Symmetry were variable. Although it is seen as one of the best records of the year – and retrospective reviews have been more favourable – it did split opinion when first released. Some were giving it five-star reviews and many noted how the band was moving away from Radiohead territory. After only one album, Muse were loading in new content, texture and influences to create something accomplished and unique. Sensual, Classical and hugely ambitious; some reviewers felt Origin of Symmetry was overblown and marked it down. It is the weirdness and excitement of the record that marked Muse out as a band to watch and one of the finest acts coming out of the U.K. New Born is a breathy, edgy and spacey opening that sees Muse shred and rock it out alongside cosmic organ/electronics and a frantic chorus. Space Dementia is as eye-popping and peculiar as its title: Bellamy as an astronaut as sound who was producing something truly out of this world! Micro Cuts sees that weirdness stretched and it is almost impossible to describe the song! There are some forgettable songs – Screenager and Darkshines do not get mentioned a lot – but you cannot argue against the pedigree. Many fans rank this as the best Muse album because of the huge leap and all the imaginations being brought into the music. Absolution, arriving in 2003, had very apt title. The band felt the word was appropriate given the fact they were making music in a new way and starting afresh. Previous recording sessions were rushed and ill-devised and this was the first time the band was setting proper time aside to make music. Bellamy had not quite stepped out to lead the way – he would go on to be the sole composer and writer soon enough – but the tightness of the band was starting to show. Although Absolution was recorded between various studios and with producers like John Cornfield and Paul Reeve; some true Muse classics were coming through. The promising band of before were now developing into arena-ready titans who were taking their music to new heights. Time Is Running Out and Stockholm Syndrome show the sort of nervousness and paranoia they would exploit in later works; writing beyond ordinary love and cliché themes. The latter track and Hysteria see Muse step into gnarly and finger-shredding territory whilst the piano was becoming a common trait in their music. There are not many bands today that use the piano in their music but, gifted with a very talented player in Matt Bellamy; songs like Butterflies & Hurricanes became symphonic, sweeping numbers that take the breath away. Maybe the last few numbers of Absolution are not as memorable as the standout cuts – it is quite too-heavy as a record – but it is a big leap from Showbiz and, in some ways, Origin of Symmetry. Absolution is a move sideways from Origin of Symmetry but, again, proved the band were unafraid to mix the slightly bizarre and eccentric with the conventional. 2006’s Black Holes and Revelations saw Matt Bellamy taking sole authorship of the work and, with it, really cranking up the tension. 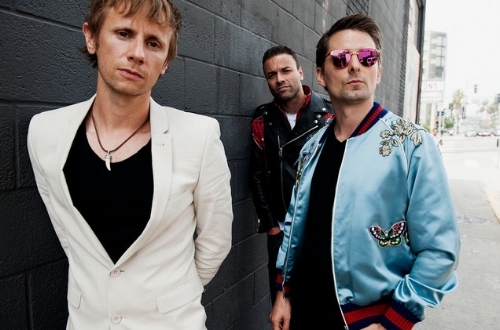 With its dystopian undertones and lyrics that looked at aliens, political corruption and revolution; it is another sign of Muse covering original and much-needed topics. They were still not your band who spoke about general anger and heartache – looking at a broken world and what was happening around them and filtering it through their exceptional spectrum. To be fair, there are a couple of conventional love songs (Starlight among them) but the more interesting moments are when the band reinvent themselves (again) and go completely bananas! Take a Bow kicks things off and talks of representing for sins and a sense of pending doom. It is more anxious and progressive as anything Muse had previously thrown out and, on Supermassive Black Hole, more sensual, slinky and Prince-like – one of their classic cuts and proof Muse could mix the mature and conventional with something a little quirky. The clash of the sensitive and thought-provoking Soldier’s Poem sitting alongside (or very near…) the razor-sharp and relentless Assassin – the band at almost Heavy Metal-levels of pummel and attack – shows they were brave when it came to programming and track sequencing! City of Delusion brings in Flamenco-like swagger and horns; a terrific full-stop ending and another great revelation from the band. “More interestingly, for a proggy act, there’s a healthy dose of funk, making this a rare example of danceable prog rock. The disco feel of Panic Station – which nods at INXS’s Suicide Blonde, Queen’s Another One Bites the Dust, David Bowie’s Fame and Prince’s Kiss — ends up sounding a bit like a Scissor Sisters number. Muse’s rather absurd spaceship may be welded together from bits of other acts – but it still flies”. “Empathy seems to be seen as a weakness. We condition people to withdraw it to succeed. But really, it needs to be re-seen as a strength again if there is to be any kind of hope in the world”. “But by our standards, it is back to basics,” Dom Howard points out. “Yeah, it’s layered and bombastic, but the start of that process was very different to how we normally do it. For the first time, he three of us in a room, eyeballing each other again. I think on 2nd Law, producing it ourselves, we spent so much time in the control room that we lost sight of ourselves as a band”. “It’s the heaviest the band has sounded in some time, and exuberant enough for you to ignore Bellamy’s clunky lyrics. But Drones veers badly off target in its final third, most pointedly in overindulgent chamber suite The Globalist, which veers from Morricone to Metallica, and concludes, bewilderingly, with an adaptation of Elgar’s Nimrod”.